Tri-Lateral agreement promises life-saving technology can be upgraded quickly in Australia to counter the growing use of RCIEDs in Terrorist Incidents, whilst securing high-tech defence jobs in Queensland. EPE, Allen-Vanguard and Surface Technology International enter into an agreement, in principle, to establish Depot Level Repair, Spiral Upgrade and Advanced Manufacturing capabilities at EPE’s Brisbane Facilities to support current and next Generation Force Protection Electronic Counter Measures (FPECM) Systems in Australia..
EPE (Brisbane, Australia) is pleased to announce that we are in the final stages of negotiation with Allen Vanguard (“AV”, Ottawa, Canada), the manufacturer of market-leading FPECM systems and Surface Technologies International (“STI”, Hook, UK) a leading Contract Manufacturer of advanced electronic systems that will lead to the establishment of a full manufacturing, upgrade, and repair capability at our Brisbane facility. This engagement will provide a full repair and overhaul facility as well as future engineering support to the Commonwealth of Australia. AV has fielded over 16,000 FPECM systems worldwide and currently provides FPECM capability both to the Australian and New Zealand Defence Forces and Law Enforcement Agencies. STI operates as the international Manufacturing Partner to AV and has manufactured over 6,500 FPECM systems on their behalf at their Nadcap-accredited facility in Hook, UK. This new agreement will support EPE in delivering an indigenous capability for depot level repairs and spiral upgrades to AV’s existing FPECM Fleet in use by Commonwealth and State Agencies from EPE’s Brisbane-based Maintenance Facility. This support package will reduce the cost, time and logistics burdens for these activities whilst securing high-tech defence jobs in the Greater Brisbane area. STI will conduct a technology transfer and will invest in training new recruits by providing highly trained personnel to augment EPE’s core of deployable Field Service Representatives (FSRs) while also providing Quality Assurance support. 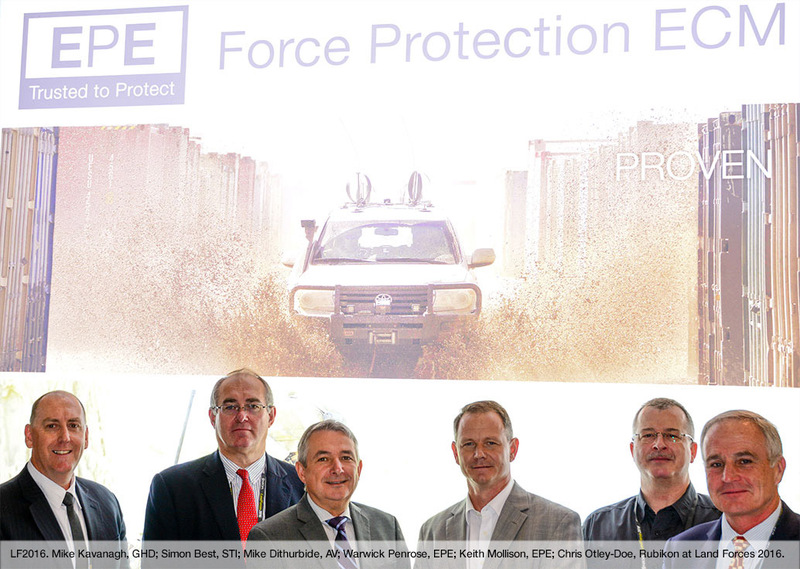 This agreement will provide significant Through-Life Support cost savings to current clients, and ensures that this life saving FPECM technology can be upgraded quickly in Australia to counter the growing use of Radio Controlled Improvised Explosive Devices (RCIED) in Terrorist Incidents. 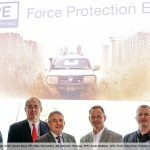 EPE provides Counter IED and Force Protection solutions and support to Australian and New Zealand Defence Forces, Law Enforcement, and other government agencies. We are former bomb techs and Counter IED specialists with real world operational experience. We understand how Counter IED equipment is used and, more importantly we understand the demands placed on equipment and operators in the current ‘high-threat’ environments in which they may be deployed. We also understand the demands of the training and preparation required for operations. 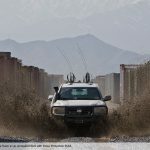 Our aim is to source the very best range of battle-proven Counter IED equipment to help us deliver to our customers, a comprehensive and sustainable capability to meet evolving threats. We deliver equipment, through life support, training and consultancy. Allen-Vanguard is a leader in providing customized solutions for defeating terrorist and extremist threats, including Radio Controlled IEDs (RCIEDs). Defense Forces, Public Safety & Security agencies around the world trust our world class solutions to provide integrated capabilities to help save lives every day. 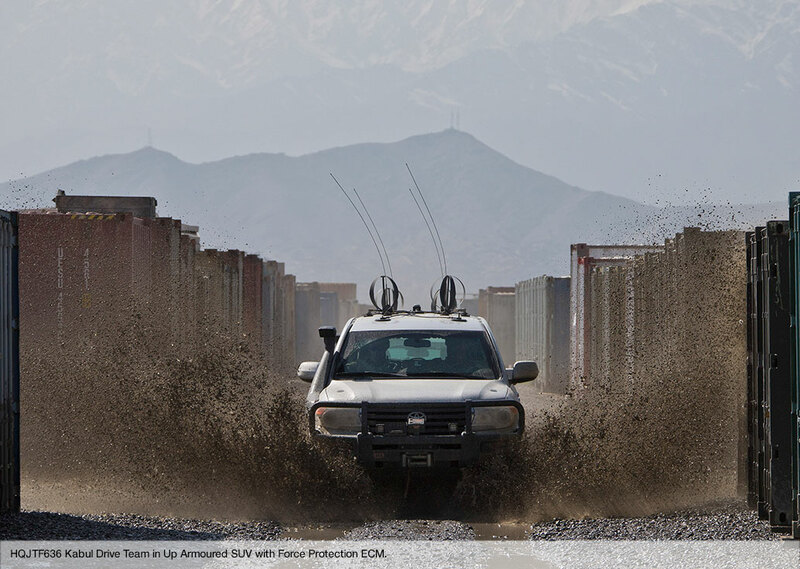 Users worldwide trust Allen-Vanguard’s products for personal protection and to complete their dangerous missions. This battle-proven equipment is developed in close collaboration with end users and is tested to perform as an integrated system in the harshest conditions. EPE, Brisbane Australia. Warwick Penrose, Director. STI, Hook, UK. Simon Best, Group Managing Director.